Planning any type of move can be stressful, but relocating a data center or networked computers carries the added pressure of moving sensitive electronic equipment. Any delays or mishaps could disrupt business operations. You can trust Herlihy Moving & Storage to relocate data centers and IT assets of all sizes, from a single rack to a data center with hundreds or thousands of servers and other equipment. In business since 1920, we have been moving computers almost since they were invented. Whether you are a small business or Fortune 500 company, we have the technical expertise, equipment and experience to move your IT infrastructure and electronics the right way. “James Herlihy and his team are crucial to our consolidation strategy. They successfully relocated our IBM Development IT data center to a new location, ahead of schedule. From shutting down a data center in Austin Texas on a Wednesday night and have the data center relocated 1200 miles to Columbus Ohio, and then having everything back on line before Monday AM. Our equipment was heavy and very sensitive. 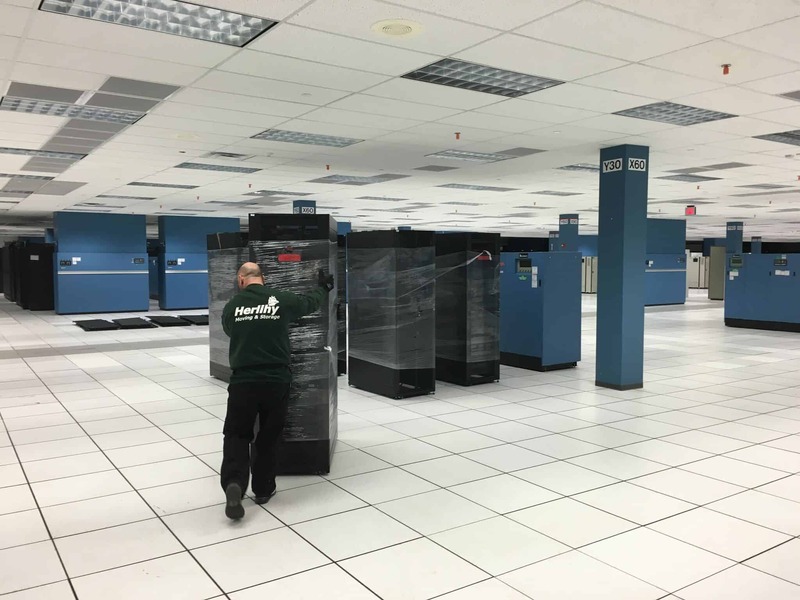 We were able to relocate our data center with zero failures – awesome! Herlihy did a fantastic job on relocating this critical development equipment.” – Bill Flynn, IBM. “Your crew did a wonderful job with the move. They were very careful, professional and courteous.” – Siraj H., Director of Infrastructure and Information Services, Glimcher Properties. Ready to put our data center moving experts to work for you? Call 614-871-4040 or email info@herlihymoving.com for a free, no-obligation estimate.